The SELF LOCATOR gaskets are a complete stainless steel containment of a sealing element offering a true compression seal. The patented design gives you long term reliability without flange welding and eliminates misalignment on installation. Due to its universal sizing, one gasket fits all flange pressure classes, eliminating the chance of incorrect gasket selection. The most important feature of the gasket is the high unit load generated by the narrow sealing area provides a considerably higher flange clamping pressure and a better seal at a lower clamping force. The standard gasket material is 316 SS, with two (2) tracks of Flexible Graphite sealing elements. 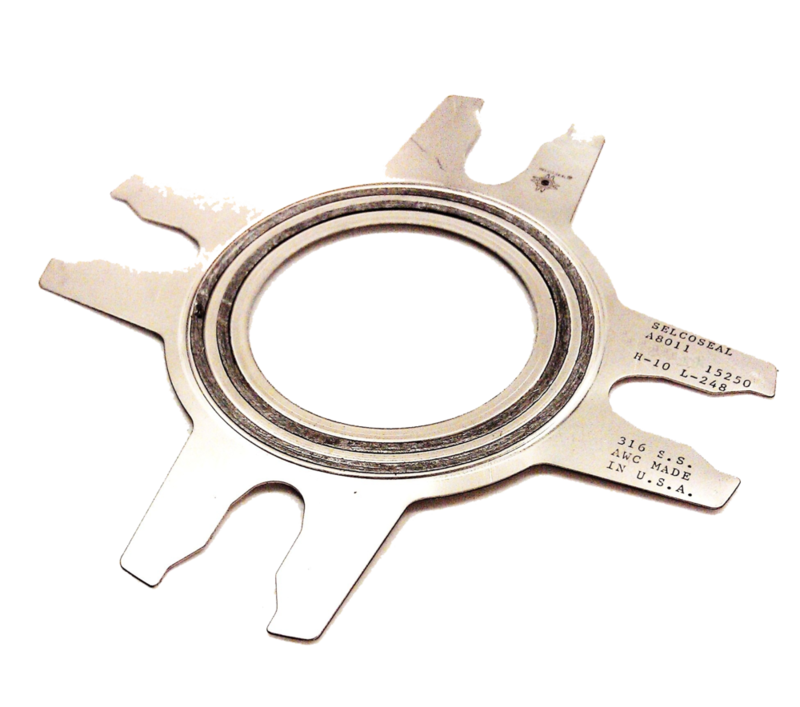 Specialty gasket material and/or sealing elements are available as options. Associated with Mil-PRF-32187 TyIII (Ty3).